35 inspiring Pictures of Corsica Island (France) - Landscape Paradise! 35 inspiring Pictures of Corsica Island (France) – Landscape Paradise! Corsica Island is magnificent at every turn. There has not been one day when I thought it was boring. The roads are winding and I was blown away almost at every turn. The problem with so much beauty, is the difficult in selecting only 35 pictures of Corsica to give you a snapshot of the landscapes. The task was challenging, but I hope you will enjoy and be inspired! This is my favorite picture of Corsica. Might not be the most beautiful, but it represents well a big part of what the island is about. Steep mountains walls, winding roads with animals in the middle and a dramatic view at every turn! I don't use drone photography at all on this blog, because I want to show people only things they can see for themselves. But I love it when you can easily get a perspective from above. This is why I fell in love with Ostriconi, one of the best beaches in Corsica. The roads offer a stunning vantage point on the sand, the river and the desert behind. In the middle of the West Coast, you can find one of the best Unesco world heritage sites I have seen. Part of it are the Calanques de Piana. They are tall pink cliffs plunging straight into the water. The hard rock stands strong against the erosion so it has created magnificent shapes. Corsica is actually a mountain chain. 2 third of the island is mountainous. The highest peak is Monte Cinto at 2706m (8878ft). Above is my favorite view of the Bavella Needles. 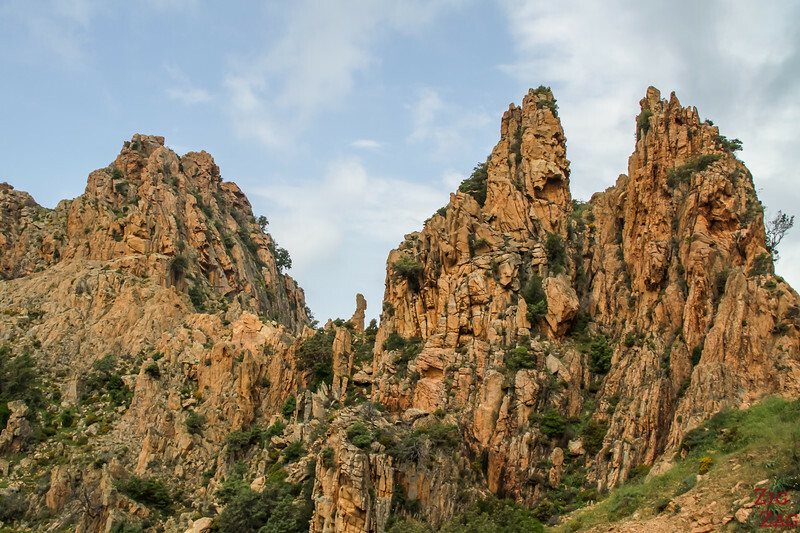 Learn more in my article about the Mountains of Corsica. 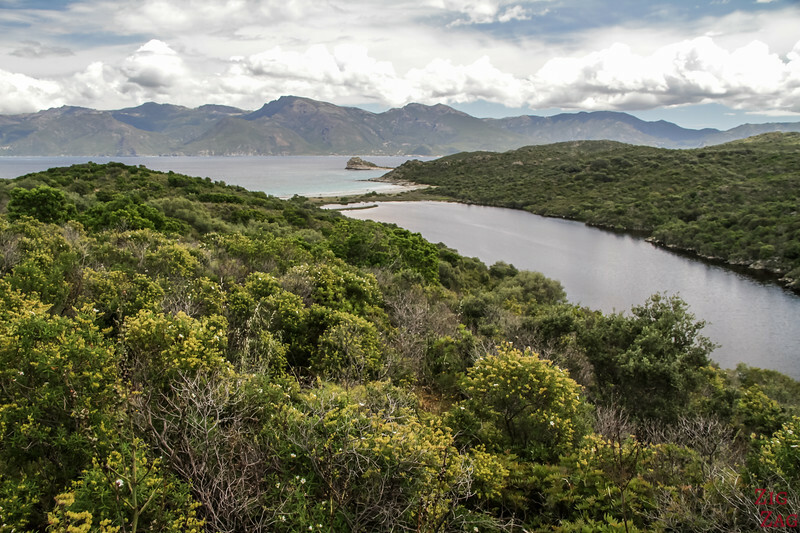 The coastline of Corsica is one of the most diverse. At the South tips of the island is the Reserve of "Bouches de Bonifacio". He is one of the most fascinating places I have ever seen, and one of the best places to visit in Corsica. 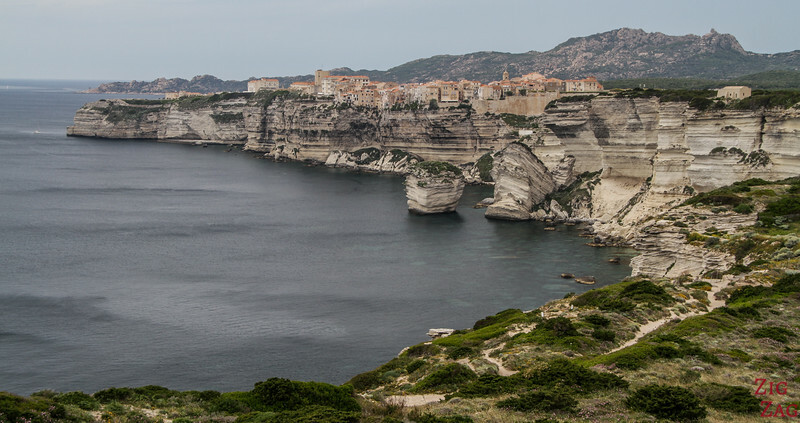 It combines the stunning natural scenery of the white limestone cliffs with the historical Citadel of Bonifacio. Check out my article to see more photos and learn more above the unique area. 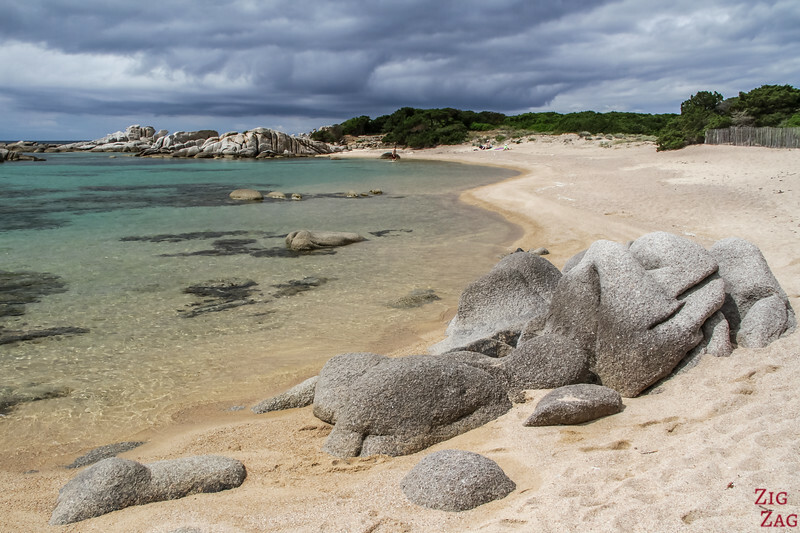 One of the most famous beaches on the island is located in South Corsica, close to Porto-Vecchio. 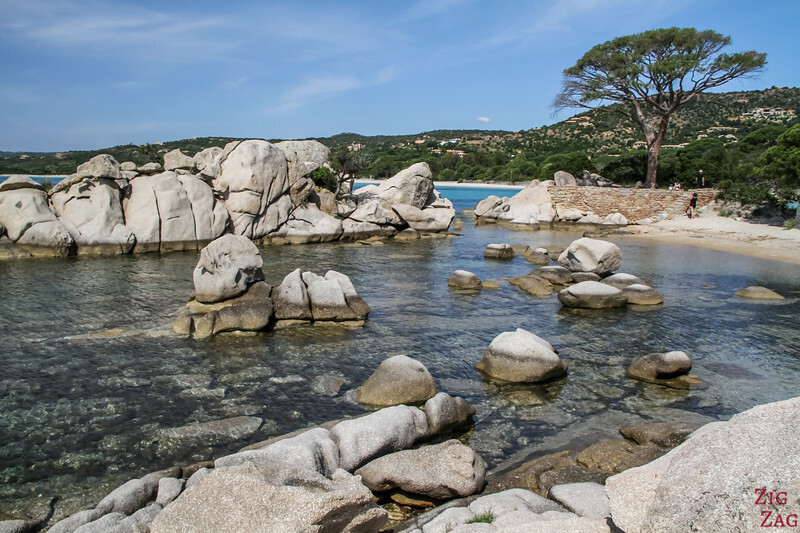 Palombaggia is a long white sand beach with turquoise water and pink rocks. I recommend visiting early morning or late afternoon, when the rocks turn red as the sun is low in the horizon. More pictures on my Palombaggia beach article. I am a big fan of geology. Finding beautiful rock formations is what I love the most when traveling. Therefore, the island of Corsica was paradise for me. To complement the white of the sand and the turquoise of the water, the lower part of the island is covered with low green vegetation (Mediterranean maquis). Even in the Desert des Agriates, it does not really look like a desert. 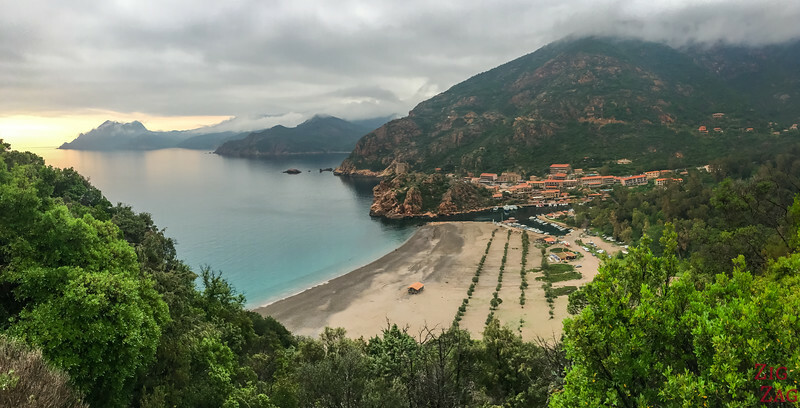 Corsica is a touristic island (especially for French people), but you can find amazing places when driving a little away from the main touristic path... Above is an example at Galeria. And touristic wonders... here is another picture of Palombaggia beach so that you see better the color of the rocks. 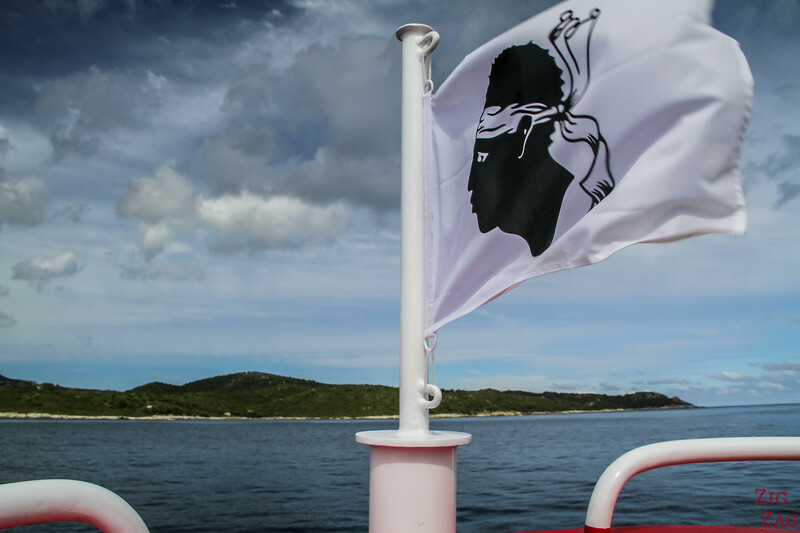 Everywhere in Corsica you will see their own flag floating. Corsica is a region of France. However they have a very strong culture and identity. The flag dates back to 1755. It represents a Moor's head. The Bandana is above the eyes to symbolise the liberation of the Corsican people from the Genoese. Corsica is in France. Good food is essential. 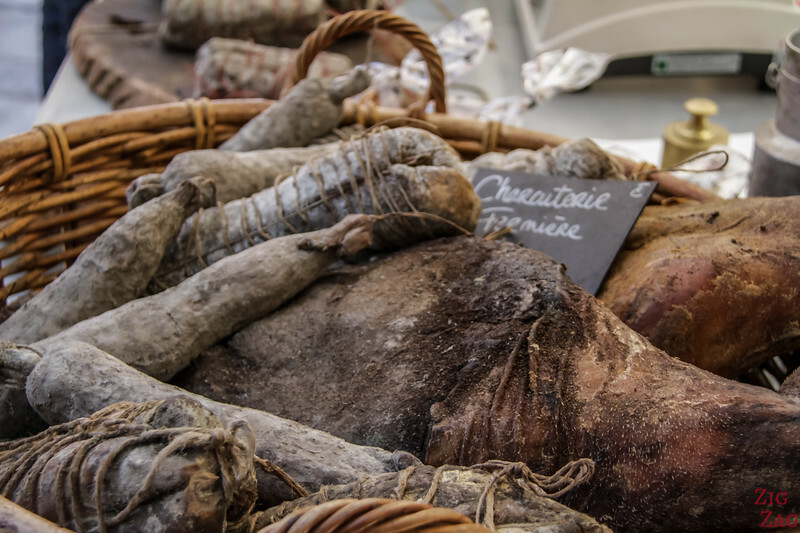 The island is famous for its tasty and salty Delicatessen. This is served in all restaurants, but you can also find great food on markets. The reason why the Delicatessen is so good... animal are happy wandering in beautiful forested areas under the sun. One of the top things to do when traveling through Corsica, is to listen to polyphonic songs: the "Polyphonies Corse". You will see a lot of concert in towns and churches. Polyphonies are singing experience where only voices come together to produce music. In Corsica, the typical groups are only male voices. They sing in perfect harmony, mostly in the Corsican Language. It is very powerful and they carry deep emotions. Even when you don't understand the words, you feel the song. 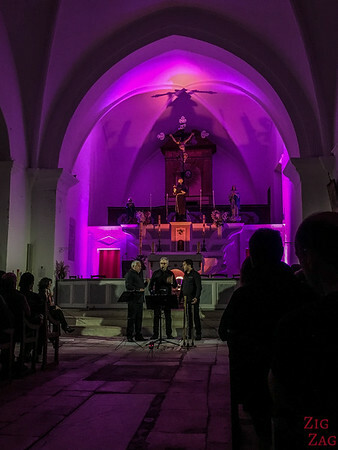 For example, I had the chance to listen to I Campagnoli in a small church in Bonifacio. LOVED IT!!!! Many beaches have local visitors on them. You can sometimes even see signs to be careful not to approach the cows. It is their territory, so leave them alone and stand out of the way. Corsica is full of small villages located between the sea and the high mountains. They are often on a hilltop with tight houses. La Balagne is the most famous region for villages. Walking the small streets makes you travel back in time. 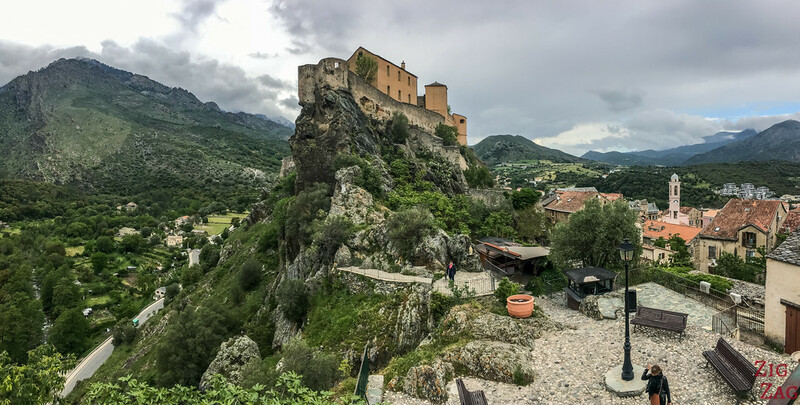 I have been regularly blown away while traveling through Corsica. Sometimes if felt like being in another world or another planet. Below are a few examples. 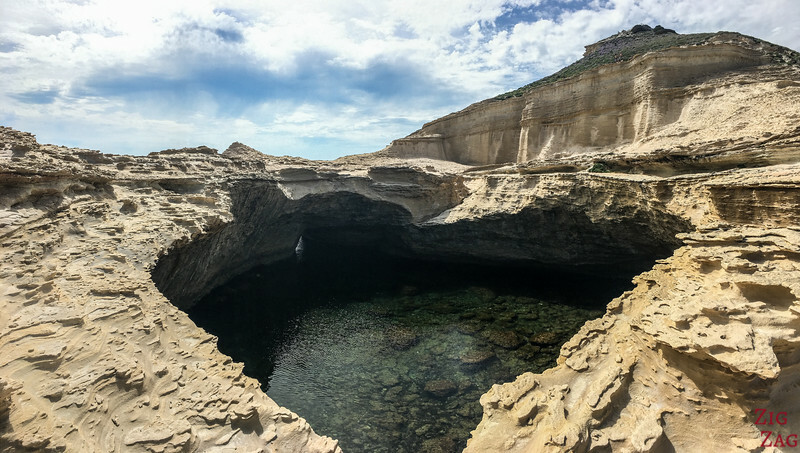 Near Bonifacio, there is a hidden beach below Capo Pertusato. A little effort is required to reach it, but once you are there it is incredible: the cliffs eroded by the elements, the sea stacks and the giant holes made of yellow / white limestone. Was I on the moon? This picture represents well one of my favorite memories of Corsica. I ended up soaking wet but the location became even more enchanting. 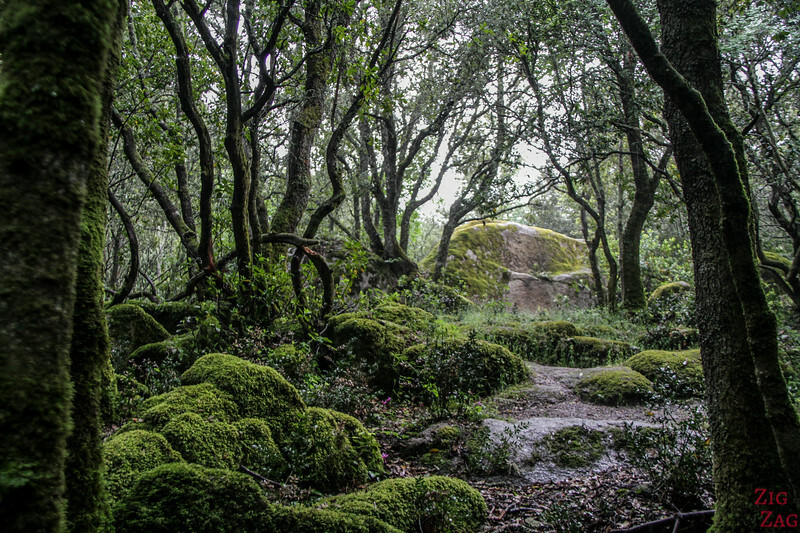 The 2h loop to reach Cucuruzzu is under the forest with giant mossy boulders and tortuous branches. Magical! 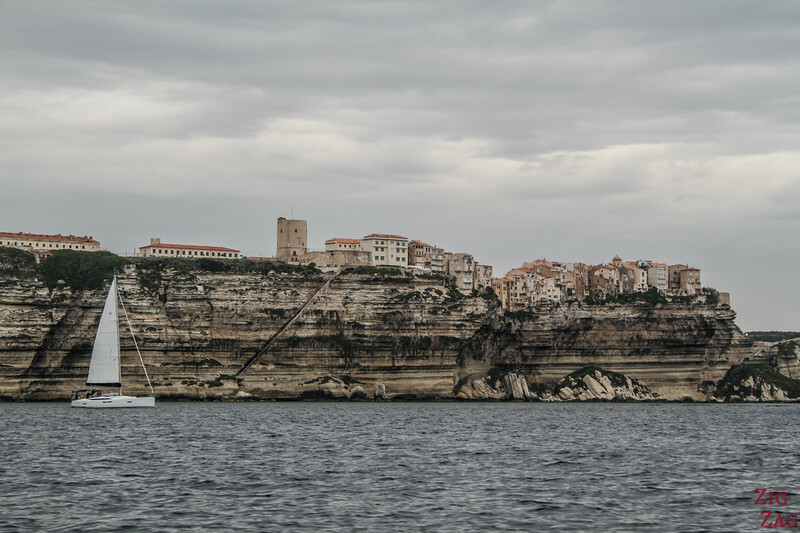 And we are back to Bonifacio in South Corsica. The citadel is located on a peninsula right at the edge of the cliffs. And with the erosion, some houses even hang over water. You can see it really well from a boat tour. It defies gravity! Many locations have legends explaining their shapes. 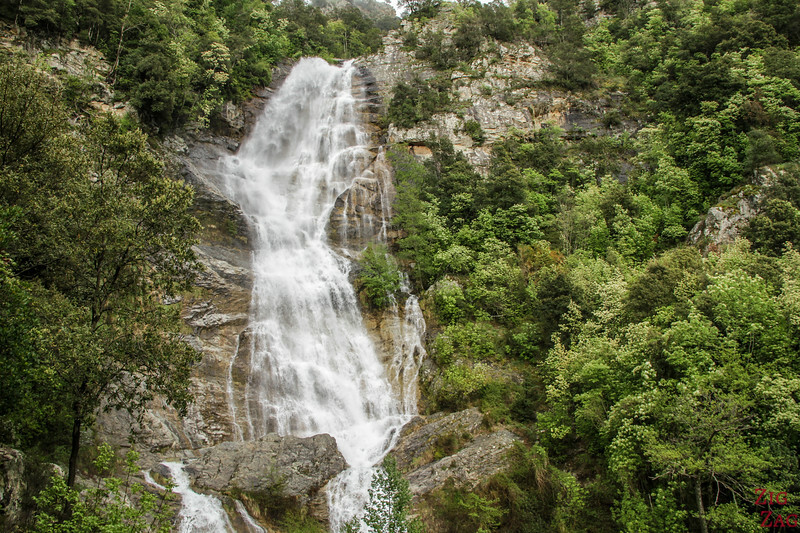 This is the Voile de la mariée waterfall (Wedding Veil). Magnificent! However note that waterfalls are stunning around May June when snow is melting. But they may be boring in Summer when there is not enough water. You don't come to the island for architecture or towns. 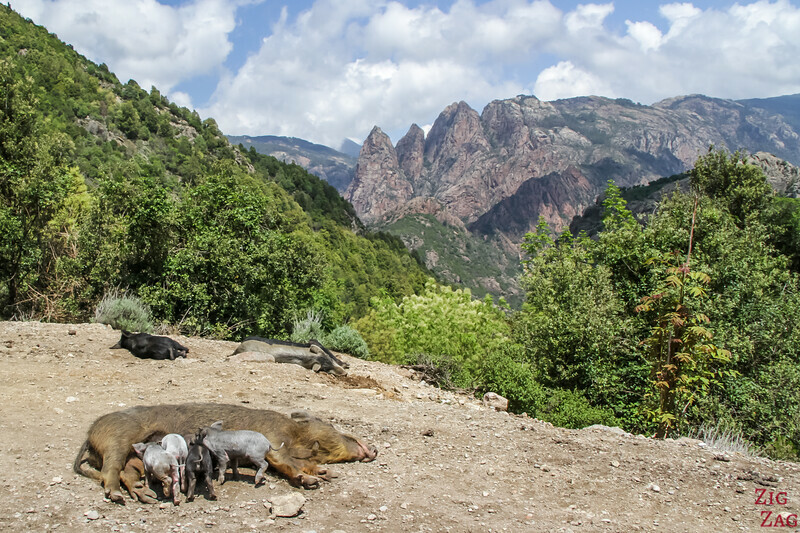 You come for the magnificent landscapes of Corsica. You have high mountains, black beaches, white beaches, giant boulders, pink cliffs, white cliffs, vineyards.... so many different sceneries to admire! 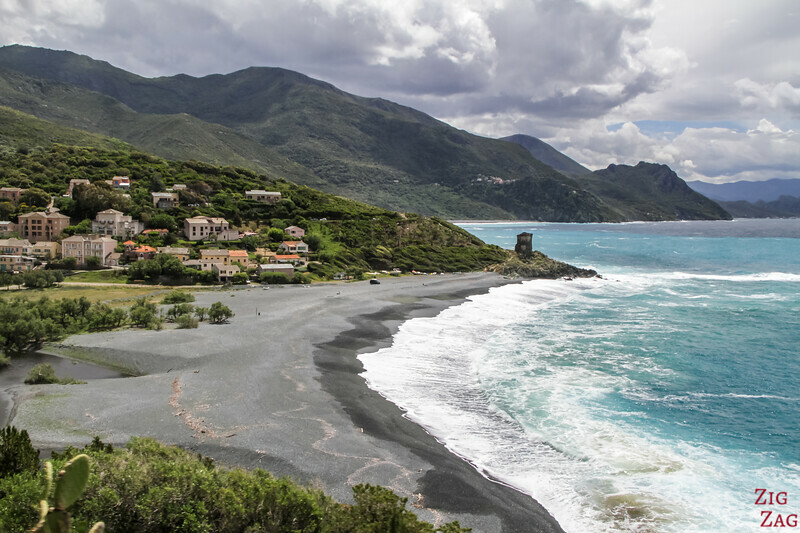 The black beaches of Corsica are located on the West coast of Cap Corse (see my guide). They are not due to volcanic ash but to an old mine nearby. The contrast with the turquoise water is striking! The whole Gulf of Porto is a Unesco protected area. The old volcanic crater of Scandola has some rare geological features. To protect it, it is only accessible by boat or by multiday hiking. 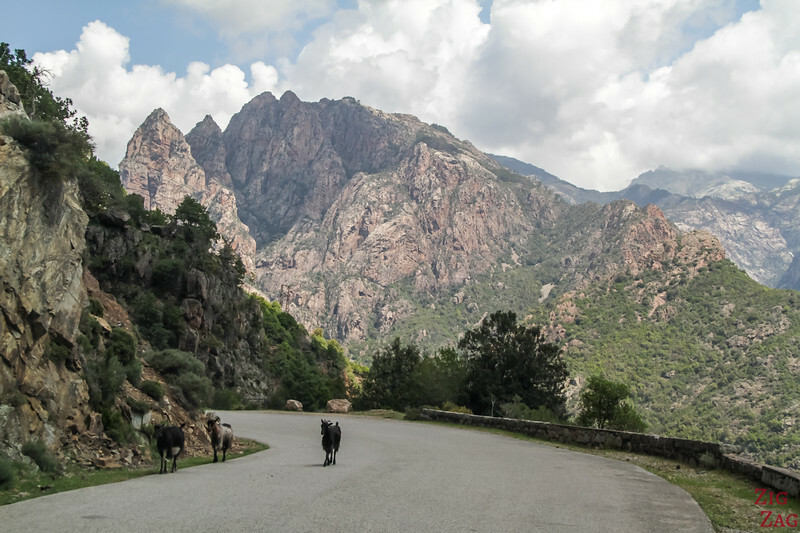 In my opinion, those are some of the best Corsica Landscapes. 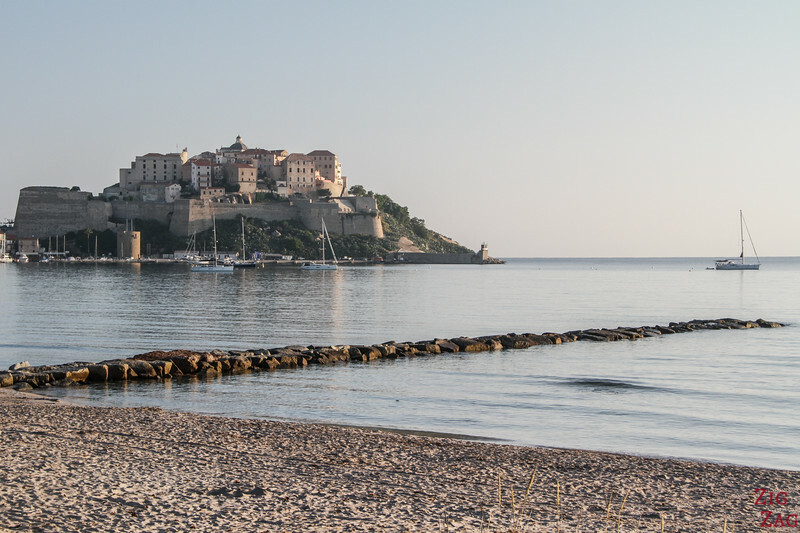 For those who do not want to go on a Corsica road trip, you can pick a coastal town to stay in and spend the week exploring the area. 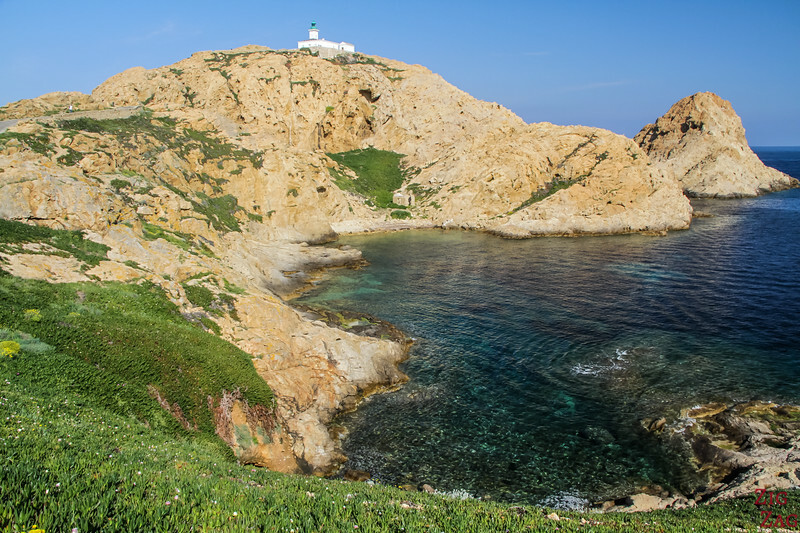 One of my favorites was l'Ile-Rousse with it beautiful rocky promontory and white lighthouse. 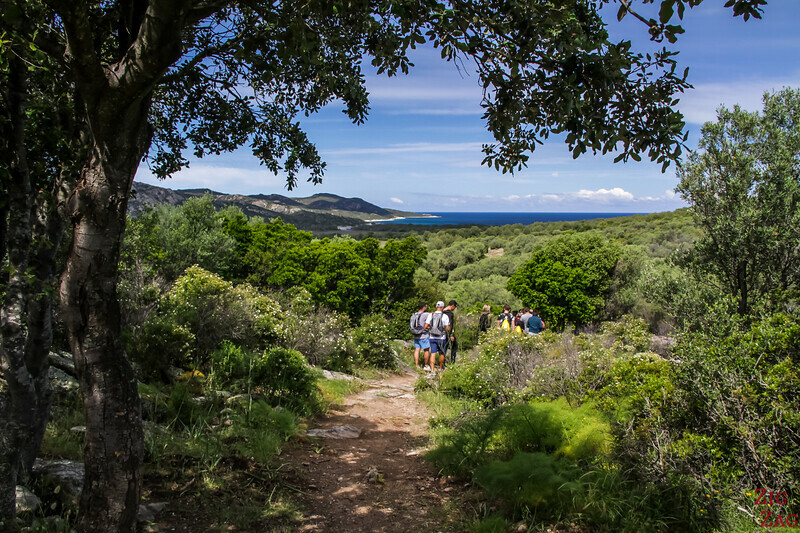 Many hikes in Corsica are not so easy considering the high mountains. 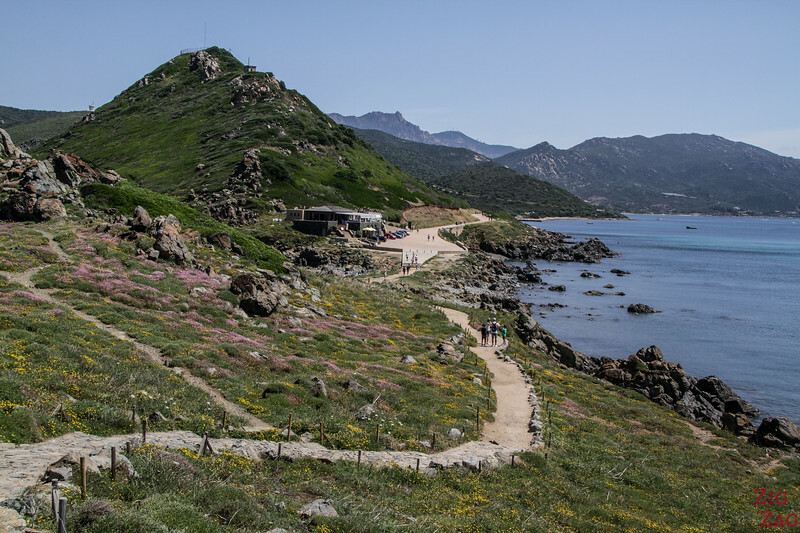 But on the coastal areas, you can walk the 'Sentiers des Douaniers' which is an easy yet rewarding experience. The most famous section is at the North end of Cap Corse. Another type of Corsican landscapes are the vineyards. On the east coast you can find typical flat ones. But there are also region where they are located on hills. One of my favorites is Patrimonio with its stunning church. Bonus: it is right by the sea and Saint-Florent. This is one of my favorite views of Corsica, taken in Desert des Agriates. 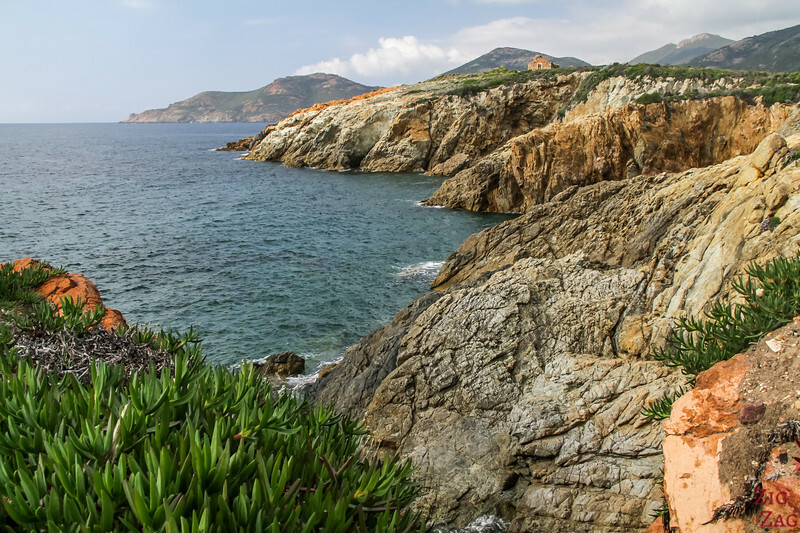 This is one of the best places to appreciate to landscapes of Cap Corse with the mountains plunging in the sea. 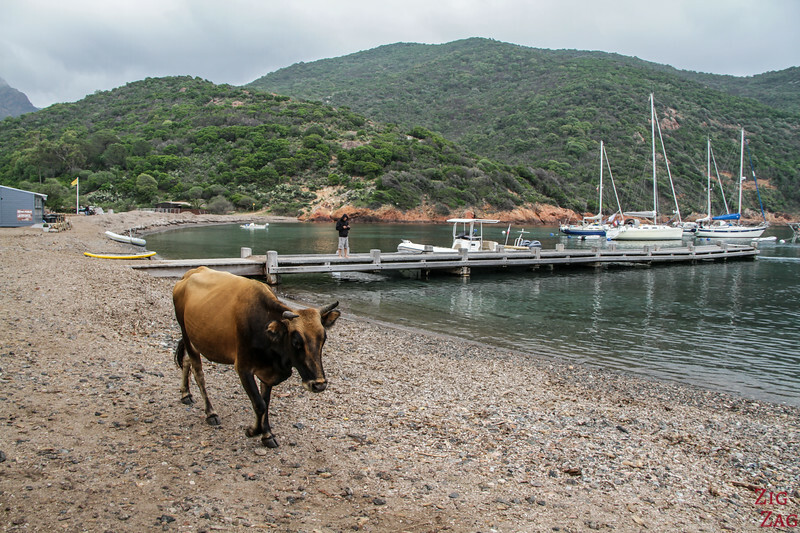 Corsica island is also full of varied beach Scenery. 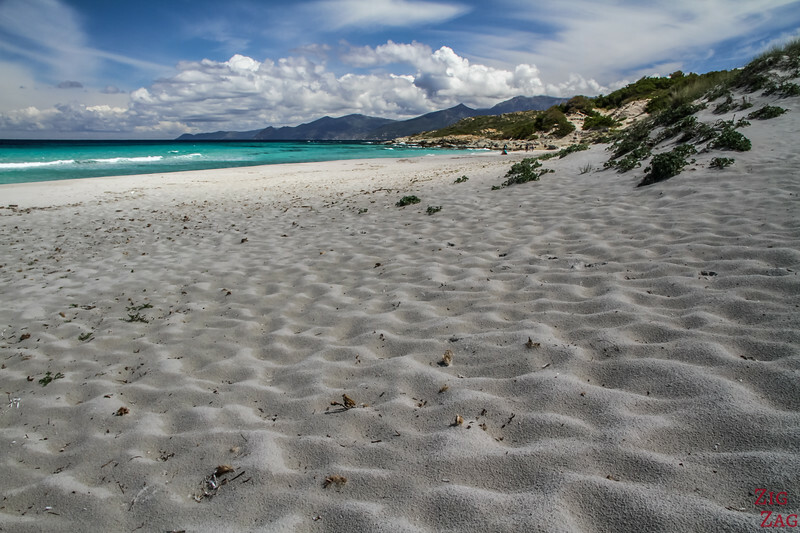 Some have pure white sand dunes... like Saleccia. 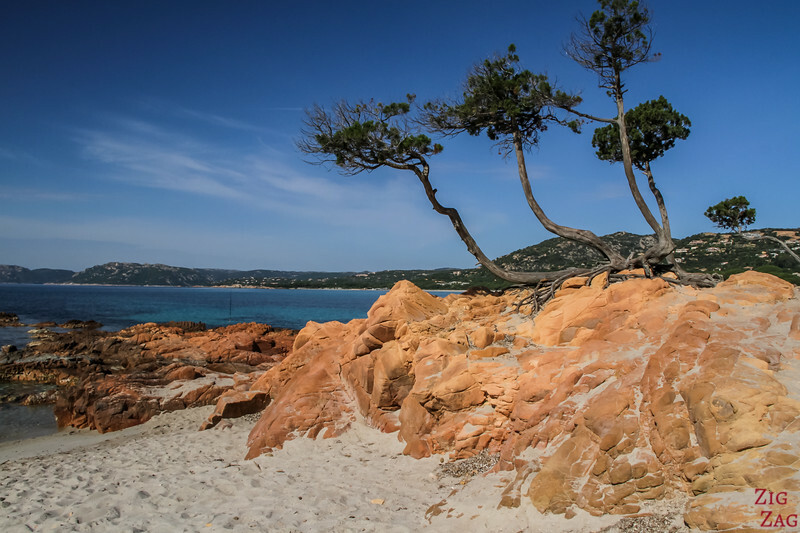 One of the most photographed beaches in Corsica is the cove between Tamaricciu and Palombaggia. It has giant grey boulders and 1 single stone-pine tree. 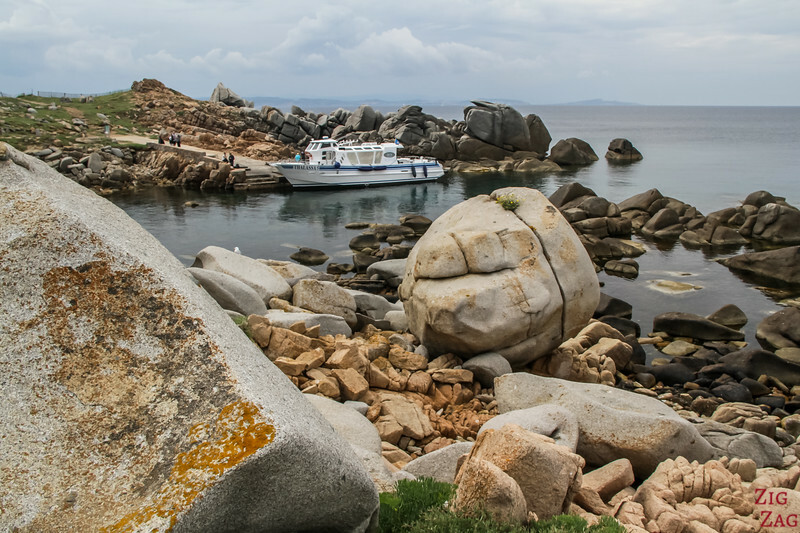 A 30min boat ride from Bonifacio and you can explore this are which used to be part of the Corsica-Sardinia land millions of years ago. In Summer, most beaches are overcrowded, so paradise Corsican landscapes loose their appeal. 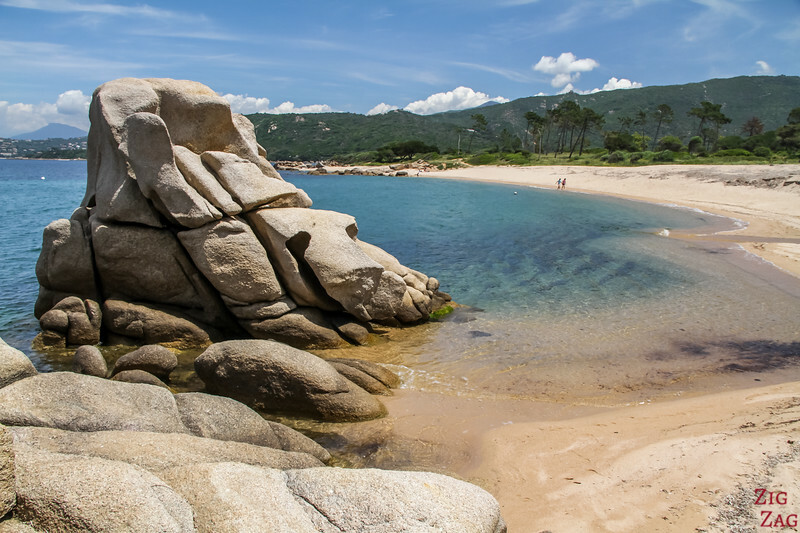 It is not easy, but you can still find quieter beaches with beautiful scenery. San Giovanni was one of my favorites. 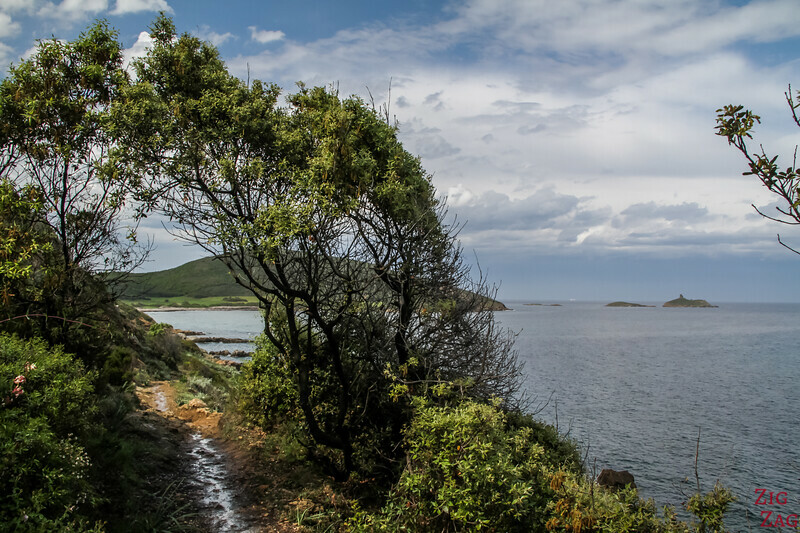 And even just a short bus ride away from the main town Ajaccio, you can find stunning landscape. This is at the Parata tower. The island of Corsica is not really famous for its architecture. But some fo the most interesting places to visit are the Citadels. And I think the best one is in Calvi. You can first admire it from the beach at sunrise before exploring the streets and fortification. This Genoese structure dates back to the 13th century. 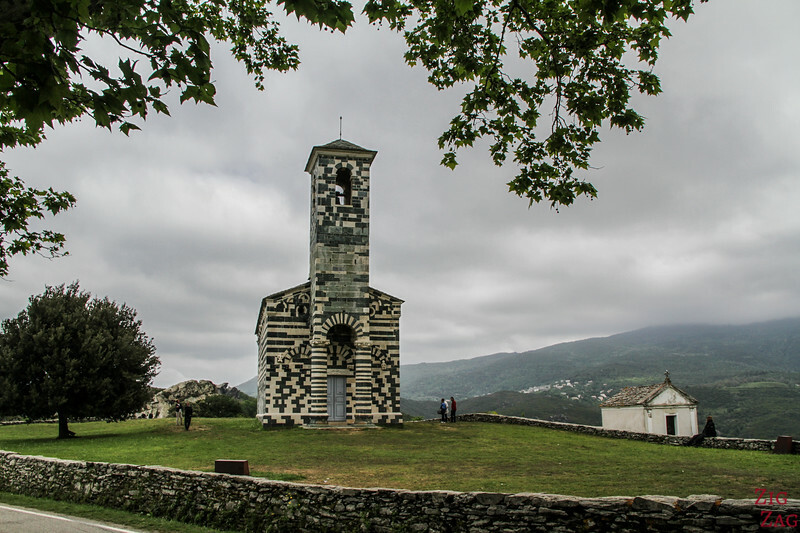 I must admit that I am fascinated by the churches in Corsica. But I found this one 🙂 Love the graphic elements of the design and the setting in the mountains. Corte is truly the heart of the island. 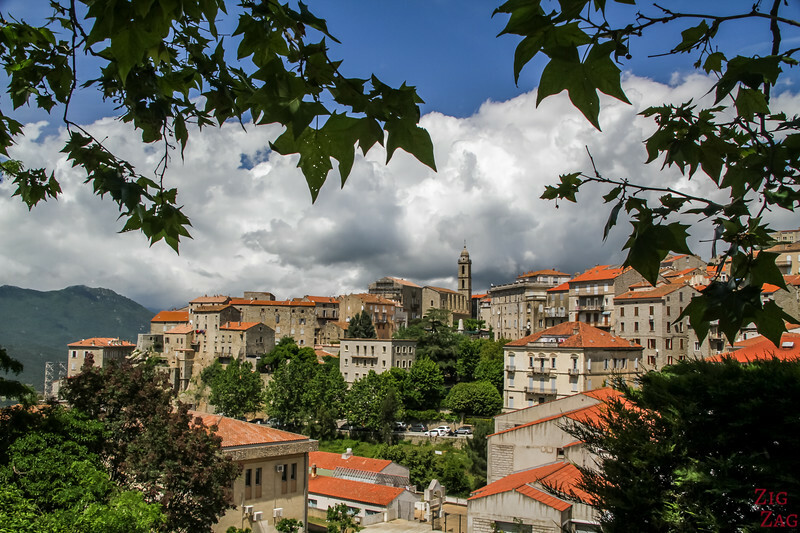 It has a long history and the oldest university in Corsica. 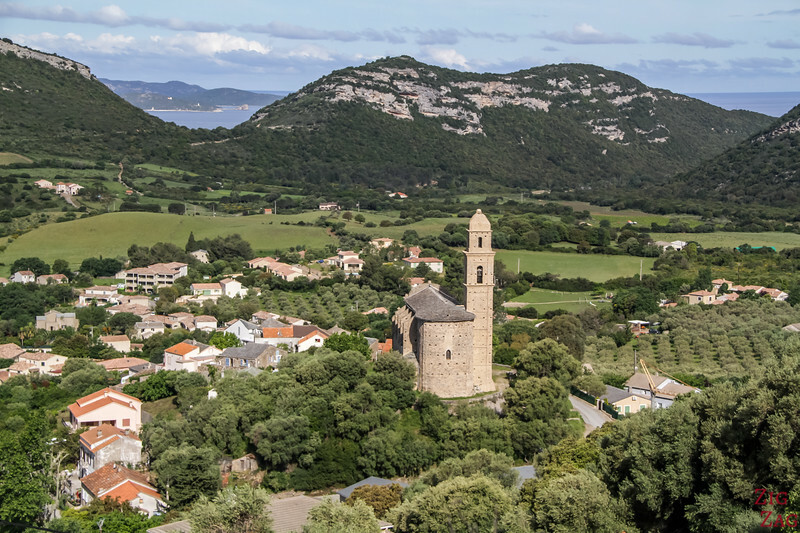 Plus it offers one of the most beautiful panoramas in Corsica: from the belvedere, you have a 360° view of the mountains and the top fo the citadel. 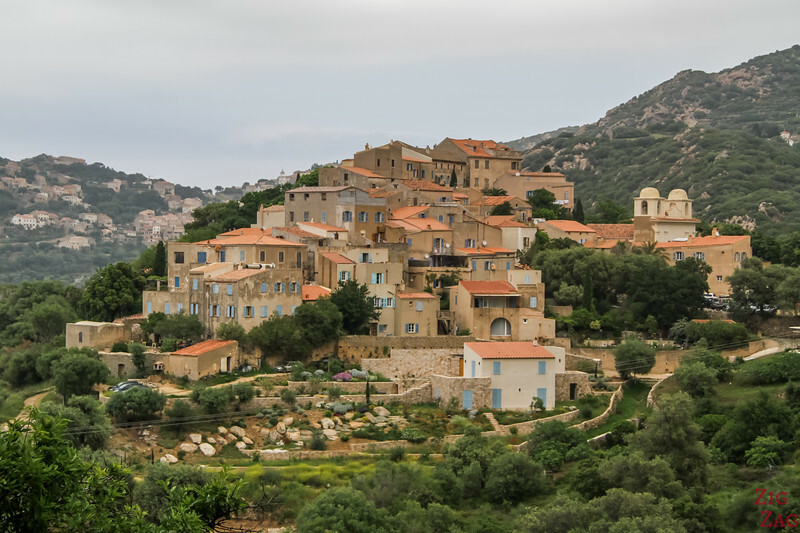 And if you want to see what is considered the most typical town in Corsica, head to Sartène. Located mid-way between Ajaccio and Bonifacio, it has a great atmosphere and delicious food! Planning a trip to Corsica? Here are my ebooks which include the locations listed in this article and many more! Inspired by those Corsica Pictures?